As the 10th anniversary of the fatal Icepak Tamahere fire draws near news publications are looking back on the April 5, 2008 event. 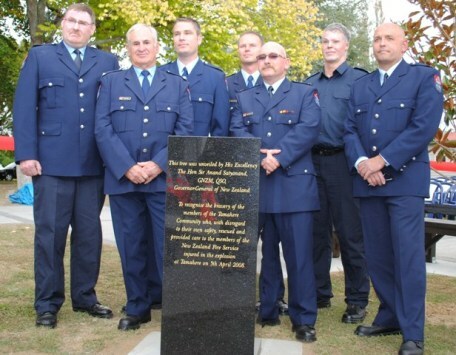 In a feature story, the NZ Herald has checked on the surviving firefighters to find their memories of the day and where they are now. Merv Neil says the blast felt like a big kick up the backside. As he struggled to his feet he was engulfed in an orange ball of flame. Shielding himself, he briefly looked up to see an enormous cloud of smoke in the sky, reports the Herald’s Belinda Feek. That kick up the backside was an explosion at the Icepak Coolstore at Tamahere, on the outskirts of Hamilton 10 years ago. It claimed the life of firefighter Derek Lovell and left seven of his colleagues injured. Neil was driving one of two trucks called out to the coolstore fire about 4pm on April 5, 2008. Alongside him were Lovell, Alvan Walker and Brian Halford. Cameron Grylls, David Beanland, Adrian Brown and Dennis Wells were in the second truck. Thirty minutes later the buildings exploded. Some reported seeing the roof fly 30m into the air before crashing on to a truck. Walker and Halford were trapped under the rubble. Grylls began giving Lovell first aid. Neil looked down to see the skin from his hands melting before urging everyone to get away. Inquiries would later find that Icepak had been using the highly flammable refrigerant Hychill in its coolstores since 2002. There were no warning signs on its buildings. Court cases and inquiries over the fire stretched on for years. Icepak Coolstores pleaded guilty to three charges of breaching health and safety employment regulations under the Health and Safety in Employment Act, while its director, Wayne Grattan pleaded guilty to one count of the same charge. Icepak was fined $37, 200 and ordered to pay $95,000 to the injured firefighters and their families. Grattan was fined $30,000. Mobile Refrigeration Specialists, which installed the refrigeration system,pleaded guilty to two charges of breaching health and safety employment regulations. Icepak was taken to court by Fonterra over the loss of $25m of cheese. That claim was resolved in a confidential settlement. 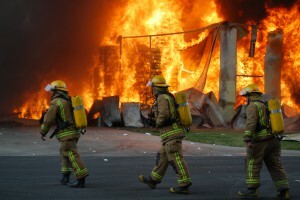 Icepak, which was eventually made insolvent, also battled insurance company QBE – but as the legal squabbling over money continued, the firemen were trying to rebuild their lives. Some were diagnosed with Post Traumatic Stress Disorder, some had months or years of treatment for their horrific burns. And 10 years on, there are still scars and haunting memories. Merv Neil is still on the front line despite suffering burns to 71 per cent of his body. “I was standing right beside the door when it went bang. This big orange fireball was thrown from behind with the pressure of the building exploding. I did a big forward roll and stood up and was surrounded by bright orange, then all of a sudden it cleared and there were guys lying everywhere. Neil and the other firefighters will be forever grateful for the doctors and nurses enjoying the annual Pumpkin Gala at the neighbouring Tamahere School who came rushing over to help. After two and a half years of surgeries, compression garments and rehabilitation, Neil was back on the truck. Despite the burns, his biggest issue was his vision, which remains blurred. The damage to his cornea was not bad enough to stop him from driving or doing daily tasks. But replacing his skin was a feat for surgeons. With so much scorched there wasn’t enough left to cover him. Samples were sent over to Australia to grow and he was temprorarily given donated skin. It was a critical procedure as Middlemore Hospital staff had to ensure there was no infection. Today, back on patrol, Neil maintains he feels safe – that is what his work is all about. But people still question why he would want to go back to the job that alsmost claimed his life. From the bar of his Morrinsville home, beer in hand, Alvan Walker recalls his last memory before the explosion – putting his helmet down next to the fire truck. He woke as he was being dragged clear of the building. Meanwhile, his wife Jen had just turned on the television to watch the 6pm news when she got a text from her sister, asking whether Walker was working that day. 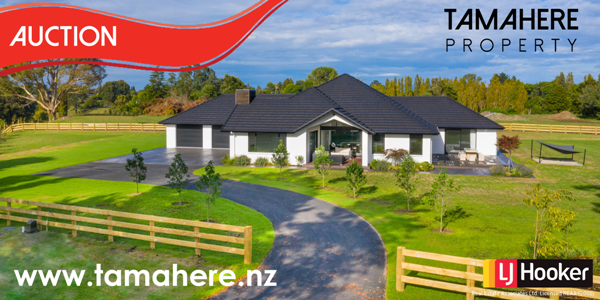 Not long after, as Jen was racing towards Waikato Hospital, she spotted the large mushroom cloud of smoke in the distance. About 150 stitches later, he was back home. But the couple say the “physical stuff” was the easiest part of the journey. Walker was later diagnosed with Post Traumatic Stress Disorder. His body recovered but the mental injuries remained. On April 5 he’ll be having a beer for his mate Derek Lovell. That day is about him, says Walker. Brian Halford has used his love of running as a way to overcome what he suffered in the explosion. Half his face was taken off by the blast – the impact sliced it diagonally from his left eye, across his cheek and nose. Eating and talking was difficult with those injuries, but harder still was the memory loss that drove colleagues, friends and sports he’d played our of his mind. “I lost a lot of my friends … I still have major nerve damage. I’ve no sense of smell or taste and I’m still blocked up from surgery. It’s partially returned. Halford was also diagnosed with PTSD and eventually decided not to go back to the front line. 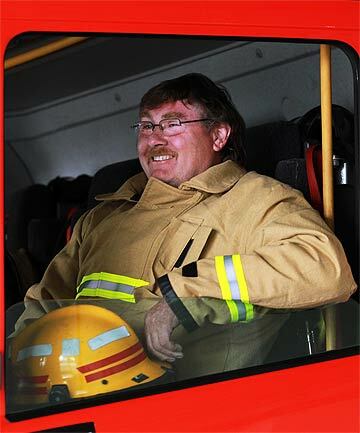 He is now a voluntary support officer for the North Waikato fire service and he’s never looked back. He spends his time trying to give back to the community that has helped him so much. He’s a coach and manager of Hamilton youth football teams, Claudelands Rovers and Peachgrove Intermediate, taking a step back from other roles he’d had, including refereeing. He says volunteering means he can earn the “hero” label bestowed on him after the fire. Cameron Grylls says the fire had a lasting impact on his sons. “My injuries were minor compared to the others but having the district nurse come round to change my dressings and do stuff like that, the two boys still talk about remembering that: having somebody come around to peel my dead, burnt skin off my ears. He returned to work as soon as he could. Coolstore callouts still struck a nerve. He’s rostered to work on April 5, but he’s not bothered about a big anniversary. It’ll be just another day for former Station Officer Dennis Wells, too. After 43 years on the job, he retired three years ago, aged 67. Now when Wells drives past the old coolstore site it barely gets a blink of his eye. He is philosophical about the company held responsible. And he remains good friends with Neil, who he says has withstood a lot. Wells says retirement is happy, and now he no longer has to worry about changing a shift to spend a long weekend with his grandchildren. 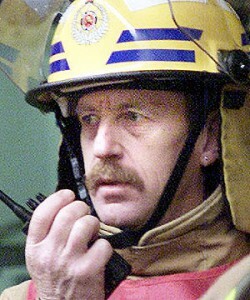 Waikato fire area manager Roy Breeze has struggled with what happened on that day 10 years ago. “When you lose one of your team, it’s like, ‘how the hell did that happen?’ It certainly changed the way I think now. He says about 20 different factors lined up to cause the blaze. “There were legislation weaknesses right through to decisions I made as a manager, like how to prioritise work, what the compliance people did, what the firefighters did, what the public did . . . all that aligned to cause that explosion,” Breeze says. There have been “huge changes” since, with risk management at the forefront. Breeze doubts whether a similar horrifying explosion could happen again – but says there are always risks when you go into a building not knowing what is inside. As for what happened 10 years ago, he’s not pointing any fingers. 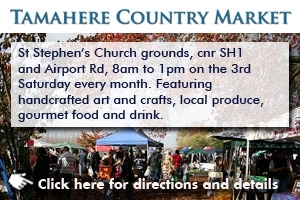 In another story, the Herald reports the latest stoush over the derelict Icepak site – the plans by former Icepak director Wayne Grattan to appeal a Waikato District Council Commissioner’s decision to turn down his resource consent application to subdivide the block into more residential blocks than allowed by the area’s zoning. Like what we do? 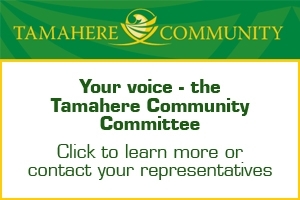 Support us in our mission to keep Tamahere informed.